It’s cliche, but so true. 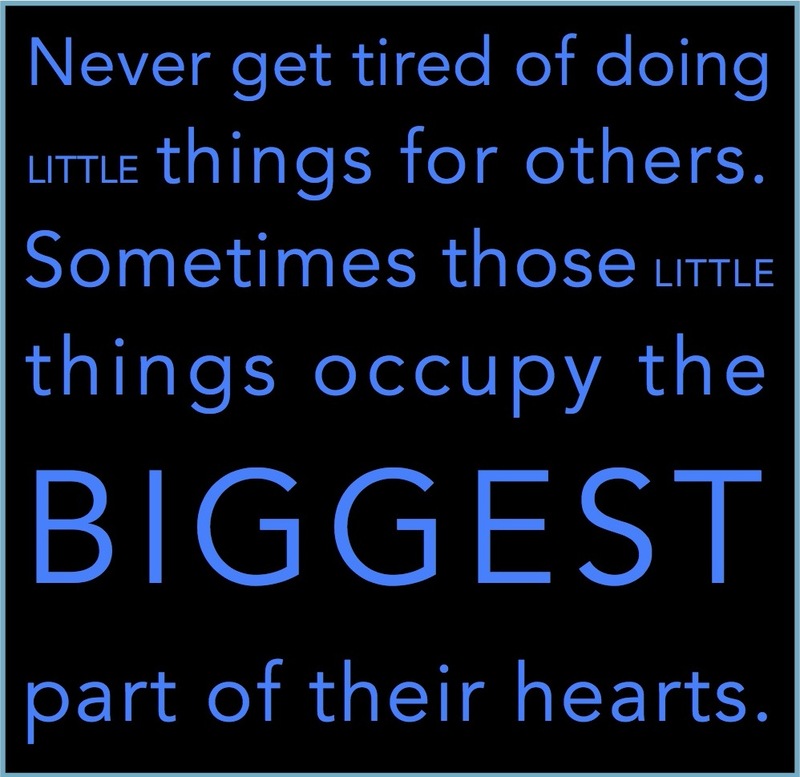 Little things mean a lot, in daily life and in our profession of education. Sometimes we have to set aside time to reflect on the little things that have made a difference; other times, our attention is drawn to them with a thank you note or words of appreciation. I’ve learned it’s not always the action of little things that have impact, but the absence of doing little things can be just as impactful. The absence of doing little things. One of my students, I’ll refer to him as Darrell, had intensive and deep social emotional issues. These manifested themselves daily in major behavioral infractions. As his Assistant Principal, I worked with him on the back end of infractions, as well as with him, his family, and our school team proactively on the front end. I met with him regularly, whether it was reactively on his terms or proactively on mine. We had finally hit a stretch where things seemed headed in the right direction. I was able to praise him during our proactive get togethers during the stretch. I got caught up in meetings, appointments, and other things requiring my attention. I missed a couple proactive meetings with Darrell. I was nervous. No news. No news was good news. I missed a couple more. Still no news. I went from being nervous, to being pleasantly surprised and very proud of Darrell. We weren’t scheduled to proactively meet on this day, but I was gonna make a point to swing by one of his classes and tell him how proud I was of him. I ended up getting called to other things, and with a free moment or two I decided to knock out other quick items on my to-do list. I did not want to rush my time with Darrell, so I decided to grab him the following day. Unfortunately, the following day didn’t come. At the end of that day, I got a call. Although years ago, it’s a call I have not forgotten to this day, nor will I ever forget. Darrell had done something so egregious, alternative placement was a foregone conclusion. To this day, I wonder what impact the lack of me doing a little thing (2 min convo telling him how proud I am of him) had on Darrell, his decision making that day, and ultimately the new direction his educational life was headed. If I had made time for him, would things have been different? If I had interjected a 2 minute conversation of how proud I was of him, would it have had an impact that would have deterred the day’s event? I will never know the answer; however, since that day I strive to keep myself out of situations that may lead to my having to ask again. 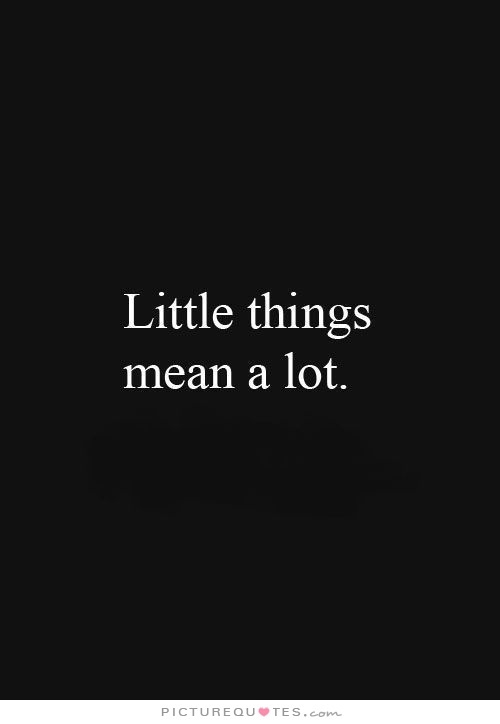 The presence of little things. It’s happened to all of us, and to many of us it happens daily. Someone thanks you for what you did earlier in the day, and you have to stop and think for a few moments as to what the person is referring to. You eventually remember, and realize the reason it didn’t come to mind right away was because it wasn’t a big deal–to you. But obviously to her it was positively impactful enough that she took time out of her busy schedule to graciously thank you. That is a big deal. My District hosts regular twitter chats. Although we’ve experienced higher attendance and more engagement each month from district staff members, it’s still new to us this year and in the growth stages of infancy. A few weeks ago, Tom Whitford (@twhitford), Dan McCabe (@danielmccabe), and Matt Rich (@mattrich0722) attended and participated in our chat. One of them is in our same Chicago metropolitan area (but in another geographic region), another is in Wisconsin, and the other is in New York. This absolutely blew my mind! It was awesome to see educators I greatly respect and follow taking time out of their busy schedules to share and learn with us. It also provided a reality check for me. I realized I have allowed myself to again get caught up in things, and neglect some “little things”–one of which is taking time to openly reflect. So, I want to do a “little thing” and thank Tom, Dan, and Matt for their time a few weeks ago, and let them know it has reminded and rejuvenated me to the power of reflection. Perhaps this reflection will positively impact someone, as Tom, Dan, and Matt positively impacted me with their time. I hope this can serve as a humble reminder to acknowledge the potential power of little things, and perhaps even more so, the potential impact of the absence of doing little things. Posted by Sam LeDeaux on February 21, 2016 in Action, Education, Reflection and tagged accurate reflection, Education.